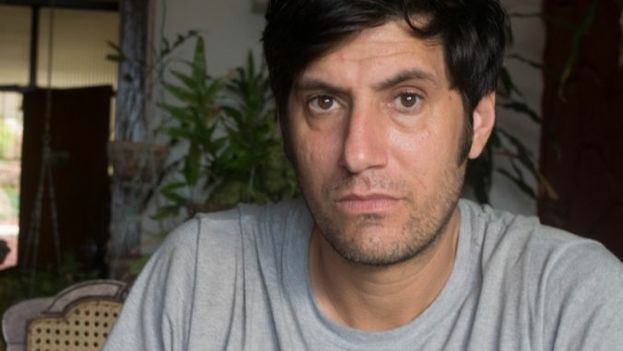 14ymedio, Havana, 8 June 2018 — More than 24 hours after he was arrested, opposition photographer Claudio Fuentes was released in Havana, opposition sources confirmed to this newspaper. The dissident was subjected to an intense interrogation filled with threats toward his rebellious work. Activists of the Patriotic Union of Cuba confirmed to 14ymedio the release of Zaqueo Báez, who was also arrested on Friday when he was trying to visit a political prisoner in Holguin. “Since yesterday morning we had been trying to call him by phone and we could not establish contact with him,” said former political prisoner Ángel Moya. “As the day progressed, we learned that he was being detained,” he adds. On several occasions, he has also been the victim of arbitrary arrests and other repressive actions, such as confiscation of his means of work. Among his most famous works are the filming of several interviews with Cuban activists for the documentary Patria o muerte (2016), directed by filmmaker Olatz López Garmendia and premiered by the American production company HBO. Fuentes also collaborated in the edition of the debate program Razones Ciudadanas (Citizens’ Reasons), which for two years issued several episodes in which activists and dissidents discussed hot topics of the Cuban reality such as the press, internet access and racism. The Cuban Commission for Human Rights and National Reconciliation (CCDHRN) verified 128 arbitrary short-term detentions for political reasons last May. During these arrests, “the peaceful dissidents were interned, as always, under inhuman and degrading conditions, in the police barracks designed for such ends,” denounced the independent organization. he 14ymedio team is committed to serious journalism that reflects the reality of deep Cuba. Thank you for joining us on this long road. We invite you to continue supporting us, but this time by becoming a member of 14ymedio. Together we can continue to transform journalism in Cuba. Previous Previous post: "The Meat Hasn’t Arrived and Less is Expected"